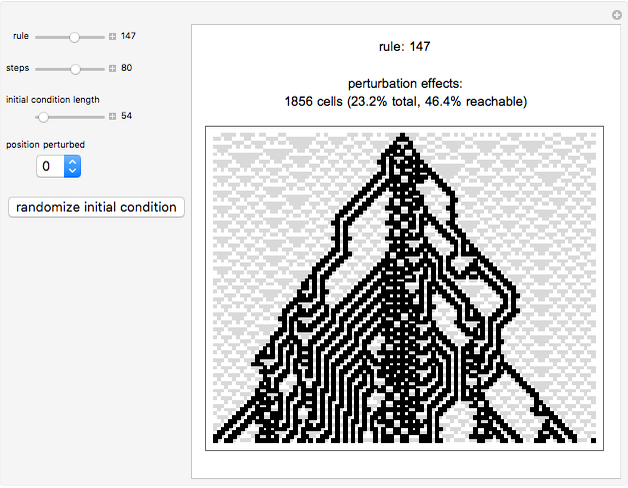 This Demonstration illustrates the sensitivity of different behavioral classes of elementary cellular automata (ECA) to small changes in initial conditions. While ECA classes 1 and 2 in Wolfram's behavioral classification are less sensitive to perturbations, remain localized, or are of limited impact (e.g. rules 60, 65, and equivalents), classes 3 and 4 are highly sensitive to the smallest initial condition with changes spreading out fast. ECA evolutions also display a rich range of different speeds of perturbations, with some nontrivial cases traveling at "the speed of light" such as in rule 161, and others such as rules 22, 110, and 169 displaying nontrivial traveling rates. 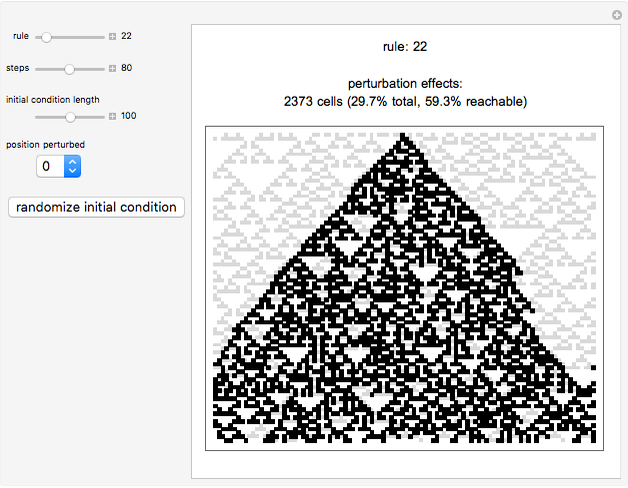 ("The speed of light" is the maximum speed at which particles in a cellular automata can travel.) This also helps in understanding the information transfer capabilities of different rules. 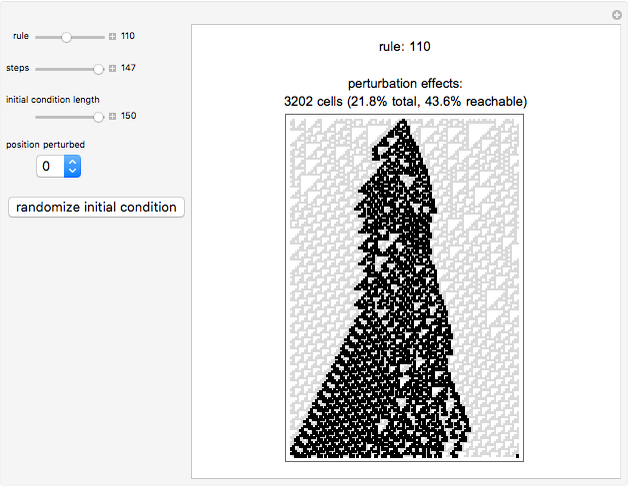 H. Zenil and E. Villarreal-Zapata, "Asymptotic Behaviour and Ratios of Complexity in Cellular Automata Rule Spaces," Journal of Bifurcation and Chaos, 23(9), 2013. Elena Villarreal "Cellular Automata Sensitivity to Initial Conditions"